When it comes to dieting, you probably think of words like starvation, calorie restriction and deprivation. You might think of dieting as a short term way of eating, temporary until you reach your weight goal but that’s why diets don’t work. In reality and to have a chance of succeeding, dieting should be looked at as a change of lifestyle. To do that though you need to change your outlook on what a diet is. 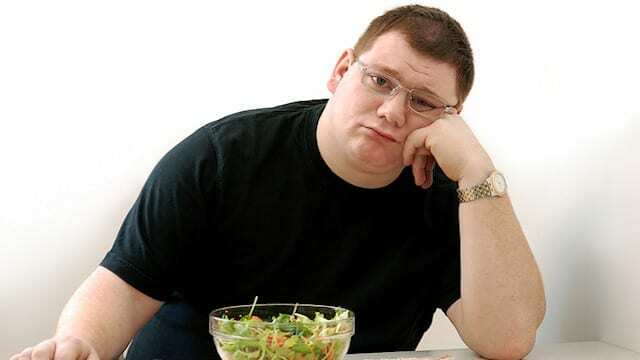 Typically, a fad diet will tell you to restrict the amount of calories per day but this will never work, especially for men. In that type of diet you tend to be hungry all the time. You also have a lot of negative physical effects that set your body up for gaining lots of fat once you end the “diet”. One change is a slower metabolism. This is because you eat less and you begin to starve your body. Your body is very smart, it will slow down your metabolism in order to conserve energy. Once you stop dieting, your slowed metabolism is also highly efficient at storing calories as fat. You also affect your hormone levels with a diet where you restrict calories. Men will find their stress levels tend to increase. This starts a downward spiral which also affects your metabolism and this again equals fat storage. Dieting like this does burn calories but it really isn’t burning only fat, it is burning lean muscle. If you aren’t taking in adequate calories (especially if you are exercising) your body will look for a way to get the energy it needs. It will break down muscle tissue in this case which is often easier to do than getting the energy from fat. So remember this, the reason why diets don’t work is because SHORT TERM DIETS WHERE CALORIES ARE RESTRICTED WILL EQUATE TO FAT GAIN!!! You want your diet to be a nutrition lifestyle where you eat often (every 2 to 3 hours) and you eat cleanly and highly nutritious meals at least 90 percent of the time. If you can do this, you will be well on your way to achieving results. 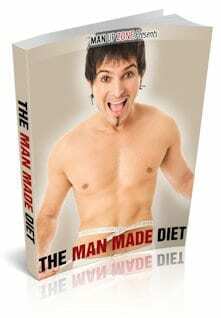 The Man Made Diet plan was devised to prevent diet failure while encouraging your body to adapt to much healthier eating habits. For example the plan calls for a hearty breakfast of ham and eggs, fish or steak. This sets you up for the day unlike those so called healthy cereals that fill you with carbs and sugars setting you up for a crash by mid morning (another reason why diets don’t work).